Buddha figures are of great importance among the stone collection of the museum. These figures are unique in style and design when compared to other sculptures. 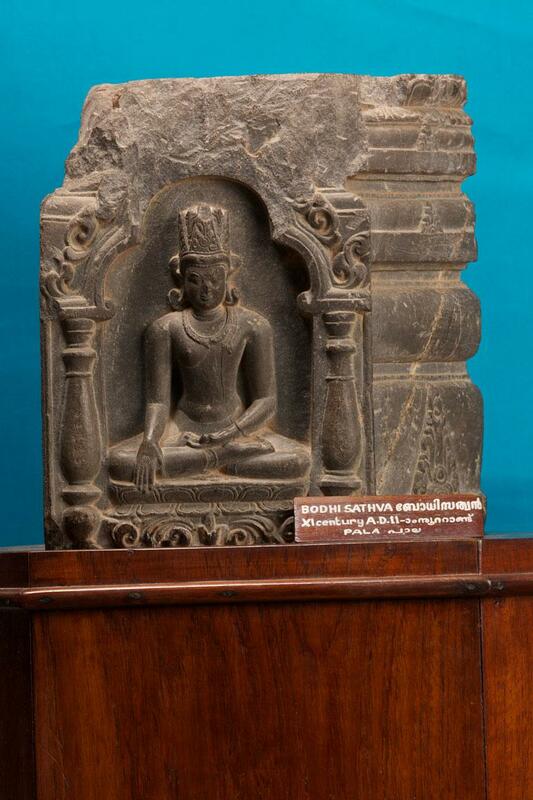 This exhibit is a brilliantly constructed stone sculpture of Bhodisattwa crafted with flawlessness and sophistication. The figure is in padmasan posture.